AzPPA Member - Early Registration - Now through 4/1/19! Sign up as an AzPPA Member today to enter this event at the reduced member rate, and to be able to invite your clients! Go to www.azppa.net/Join-Us to sign up now. Join us for a great afternoon of exhibits with your favorite suppliers. 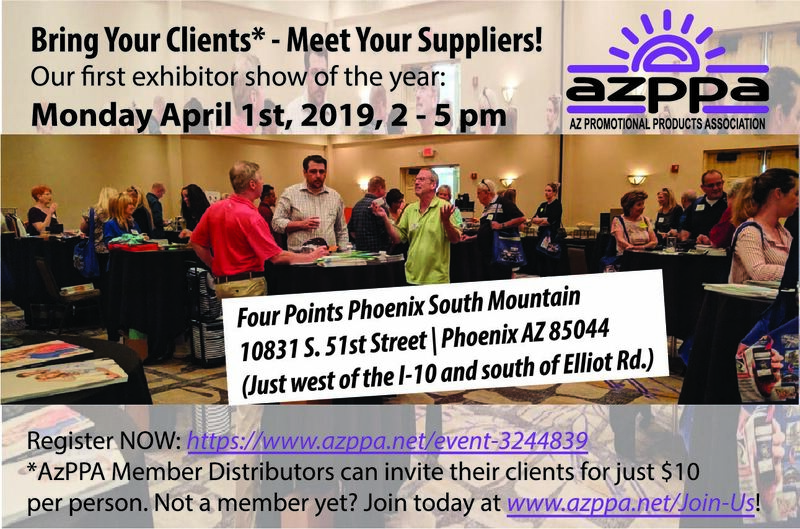 AzPPA Members, bring your clients along to see the new items for 2019. Non-members, join today in order to enter at the reduced rates and to be able to bring your clients as well!